then everything happens in a day! 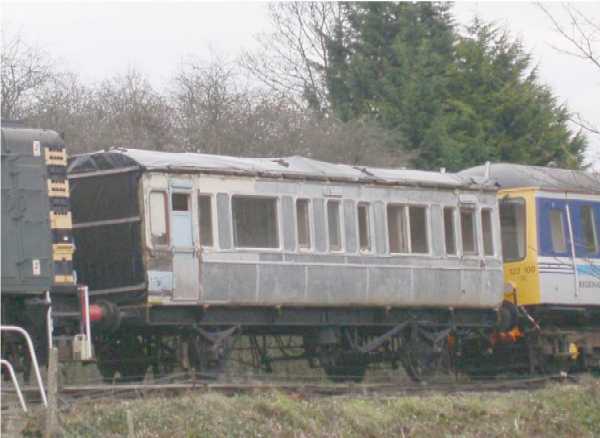 December 22nd 2005 may have been the shortest day of the year but the amount of work that was squeezed in on the South Devon Railway during the limited amount of daylight hours was tremendous! 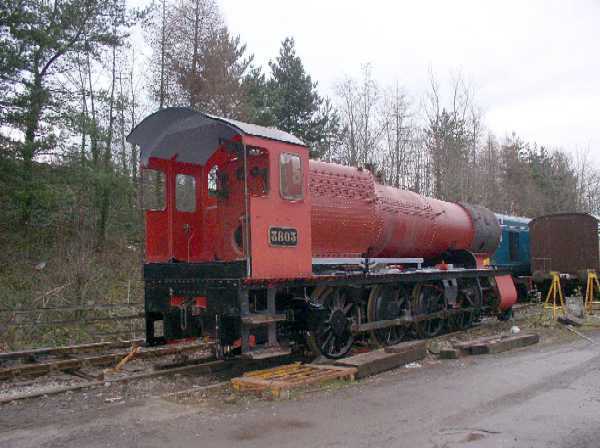 First job was to deal with the arrival of the overhauled boiler for 3803. 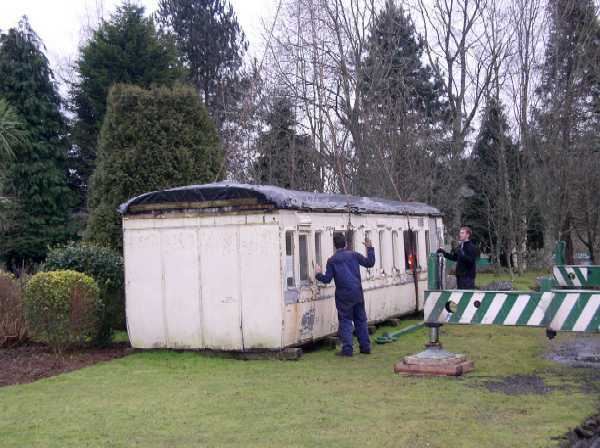 The lorry with the boiler was in attendance by 8.00am when the works staff arrived. Having manoeuvred it past the fairground organ in the forecourt, in place for adding atmosphere for the Santa Trains, the crane arrived to lift the boiler off - another squeeze past the fairground organ! 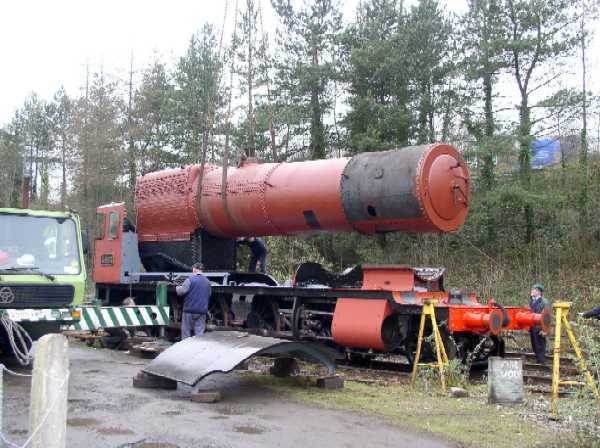 With the lorry and crane in place the boiler was soon swung into the air for the workshop boys to fit the new hopper ashpan that has been designed and made in our workshops. At this point 5542 arrived on a Heanor Transport lorry. It has arrived for a winter contract job in the SDR works followed by being a hire engine for the 2006 season. As soon as Dave Antell's lorry had moved out the Heanor lorry moved on to the unloading road, but not until after the fairground organ had been moved out of the way and a massive shunt had taken place to enable the lorry to unload in the opposite direction to usual as 5542 had had to be loaded the other way round to what we needed. 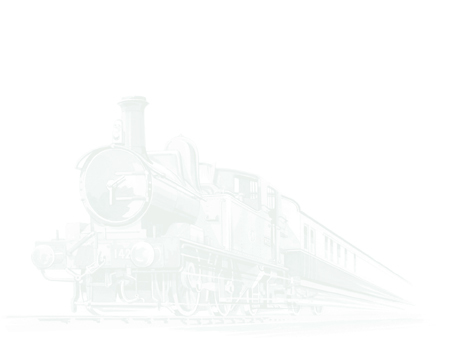 (Its planned to use its rear end only auto train abilities next season at a gala!). With that out the way and shunted round to the shed (where three Prairies found themselves lined up - 4160, 5526 and 5542 - for a quick photo shoot) work continued on the fitting of the ashpan to the 38's boiler followed by placing it in the frames in the early afternoon. 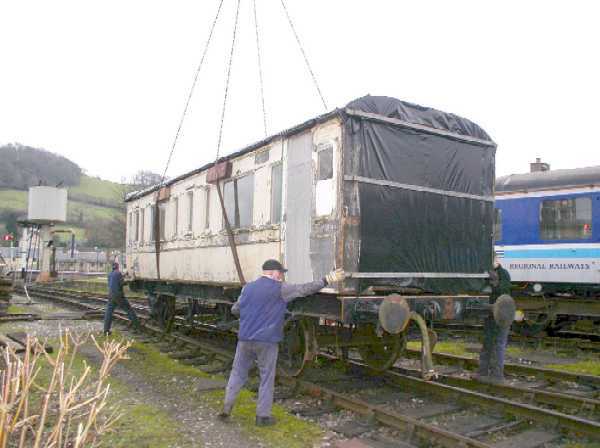 Then, as if that wasn't enough for the day the coach body of GWR Picnic Saloon 9346 was lifted on to the chassis that has been acquired for the purpose as the light began to fade at the end of a busy day. 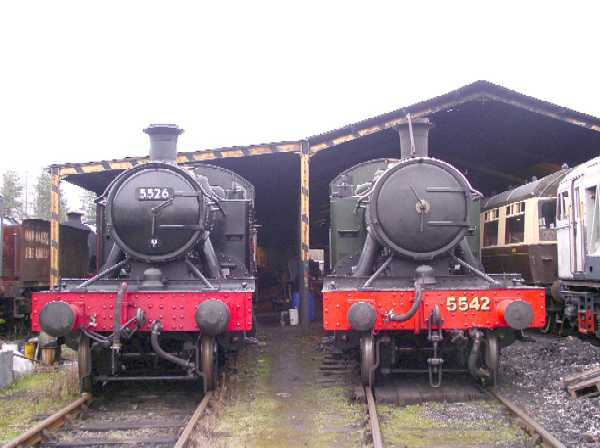 5542 found itself shunted in to the works by end of play behind 1369, whose boiler went off to Crewe on 21st December, and before the workshop doors were shut 3803 was back in behind 5542 for work to continue. 4160 has been placed outside the works doors for a few weeks whilst the 5542 contract work takes place which involves dropping out the rear axle for some remedial work in that area. Altogether a satisfaying day, and, oh yes, we ran three full santa trains as well with 750 passengers involving shunt release moves for each train. Off to the pub for a pint I think after all that excitement! !